After a raft of new releases from adidas, we’re a little delayed in sharing these boot-spots with you, but we know they were too good to just let slip! Ahead of the international break, two stars from Spain’s top two teams were clocked by Footy-Boots fans (including Ramzi S on our Facebook – thanks, amigo!) wearing some as-yet unreleased boots from adidas and Nike. 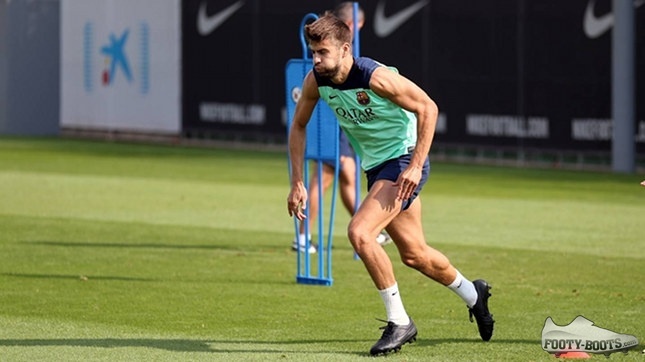 No surprises to see a Nike athlete at a Nike-sponsored club donning some all-black footwear, Gerard Pique donned some prototype cleats in Barcelona’s last training session before jetting off on international duty with Spain. As one of the faces of the Tiempo line, we’d have to hazard a guess that Pique is testing out the Nike Tiempo Legend V.
With the arrival of the Nike Premier, many were wondering whether Nike would put the same level of effort into the Tiempo line, but by the looks of things the Swoosh are innovating as much as ever. A quilted forefoot continues the evolution started in the Legend IV, and gives us nostalgic pangs for the old Ronaldinho signature boots. Aside from that major innovation, we can’t really see too much else deviating from the Tiempo template, with central lacing and classic silhouette – but who knows what Nike could be hiding under that black paint ahead of the official release later this year? Meanwhile, further inland, it was no surprise to see an adidas athlete at an adidas-sponsored club donning some all-black footwear – with Karim Benzema giving adidas some feedback on their next release. 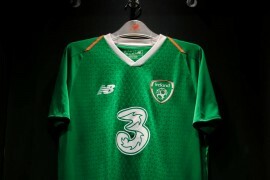 The France international has been in outrageous form pre-season, striking up a great understanding with Isco to bang in plenty of goals off his adiZeros – which is why we think adidas have turned to him to get feedback on the next incarnation of the F50. And whilst we’ve seen some great innovations on the adidas F50 range since it’s launch at the 2010 World Cup in South Africa – including debuting the miCoach Speed_Cell compatibility – as our Legacy of the adiZero piece pointed out – there has been a lot of evolution over revolution, with the soleplate and other features remaining much the same. However, if Benzema’s prototypes are anything to go by – we can certainly expect something big from adidas in the next incarnation. 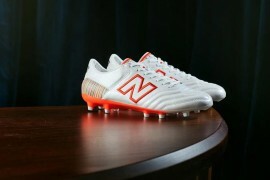 The overall shape of the boot looks super-sleek, with a low-profile form befitting of a speed boot. You might also notice the studs; after three generations of triangular Traxion 2.0 cleats, adidas look to be bringing in more oblique studs for running shoe traction. 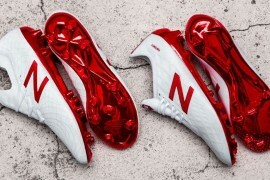 Two boots from different ends of the scale – Speed and Heritage – which are you more excited for and why? Images courtesy of the Real Madrid & FC Barcelona Facebook pages. 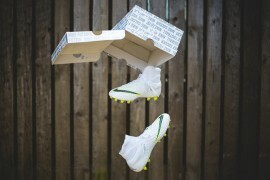 You need to realise that Footy boots etc are not leaking sites. They’re genuine equipment blogging sites who have relationships with with all the major brands. I personally like these sites better because you get all the official tech info along with the product details. Gunt22 etc only want to have bragging rights and claim they’re first to show something and more often than not it’s along with a half arsed and inaccurate article. @Insider_11:disqus is right, we’ve been going for seven years now and have very rarely ever leaked a boot on the site. Occasionally we’ll retweet or share things on Facebook, but it’s never been our MO. In our experience, too much can go wrong when you’re using other people’s pictures and not getting the full picture. Which is why, when doing the boot-spotting stuff, we’ll usually compare it to leaks to see what we can talk about wit confidence, whilst still sitting on the fence a little. Also, @0e6e3416508c1cf000f637409e87a81f:disqus – what can we do to be less average? I think I know what you’re getting at, but managing a blog is harder than ever at the moment; you have to choose what goes on Facebook and Twitter, what to save for Instagram, whether something deserves the time it takes to make a Youtube video and tonnes more as well as the time it makes for good writing. So, please – tell us what we can do better, we always listen!